It would appear that there is no money left in the coffers of the DOE (Department of the Environment) for Road Safety or any money in fact for anything in Northern Ireland from Policing to Bus Services to Health because of the (without getting too involved), political impasse at Stormont! 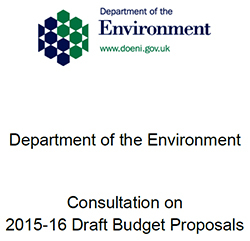 The DOE has launched a “Department of the Environment Consultation on 2015-16 Draft Budget Proposals” which details the effects that are predicted on the money available for road safety and other drastic cuts to other service provisions that are the responsibility of the DOE. So what are the “predictions” in the draft budget as regards Road Safety? “immediate action to secure a reduction of at least 500 posts across the Department, to be taken forward via a centrally managed voluntary exit scheme”. We at Right To Ride are involved in road safety issues and we sit on two stakeholder groups regarding – Road Safety and Motorcycle Safety. The former group chaired by the DOE Minister Mark H Durkin which meets tomorrow (Monday 8th December) will discuss courses for Drink Drive Offenders – Progress on Strategy Implementation and Current Challenges – Current statistics – Progress on strategy targets and action measures – Further analysis / activity required- LGV / cycle safety / training – Belfast Public Bike Share Scheme – Cycle Training. This group, looking at the road safety challenges, has included motorcycles with specific mention of the latter group above, the Motorcycle Safety Forum, the delivery of a Motorcycling Safety Strategy and the commissioned statistical review of motorcycle casualties. This review, ”Motorcyclist Casualty Research Brief”, includes the consideration of demographics, location and causation factors, to allow the DOE to determine early areas of intervention to address casualty levels. The early review of the analysis from the DOE suggests that higher levels of casualties occur at weekends; and that around half of the motorcyclist casualties are deemed to be the responsibility of the motorcyclist and around half to be the responsibility of other road users. The number of young motorcyclist casualties is decreasing, whilst the number of older casualties is increasing. 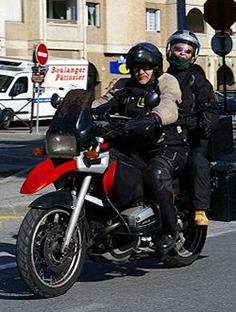 The DOE say that, ” Given that increasing numbers of the motorcyclist casualties are older riders, this may be an area where further training and education could be targeted.” although what that training and education would be has not been clarified or in what manner this would be delivered. Apart from the worrying sounds of political emphasis imploding in Northern Ireland, let’s hope that the Northern Ireland motorcycling safety strategy currently under way by the DOE and the stakeholders group remains on track. That we as riders remain engaged, after all it is our safety that we are talking about and it is better to be involved with Ministers and the civil servants. The consultation document is available at the link below as a downloadable pdf with details to where you can send your comments to by Monday 29th December 2014.